Is there any method available to make drinking water disease-free? 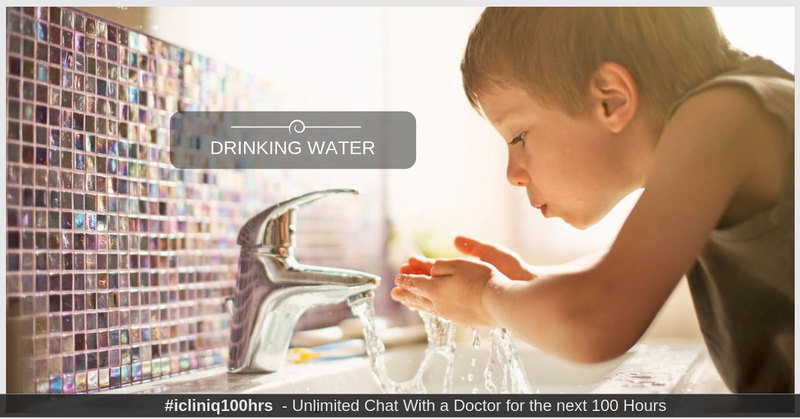 iCliniq › Ask a doctor online › Answers › Ayurveda Specialist › Drinking Water › How can drinking water be made free of diseases? Q. How can drinking water be made free of diseases? My kids are getting cold and fever because of tank water. Is there anything available so that we can put inside the tank to avoid disease? • I have cold and fever for the past three days. How to get cured? • What do you think about drinking water from copper vessels? I just read your query. Use tank water after boiling. Give your children lukewarm water for drinking not cold water. Give them steam of plain water two to three times a day whenever they get cold. Strengthen their immunity. You can give them one teaspoon of Chyawanprasha with lukewarm milk in the morning. Chyawanprasha can be given in children above three years of age. What herb can we add for purification of water in clay pot? What has to be done for fever and chills in 3 years 6 months old child?